ROB GREW UP IN SALT WATER. 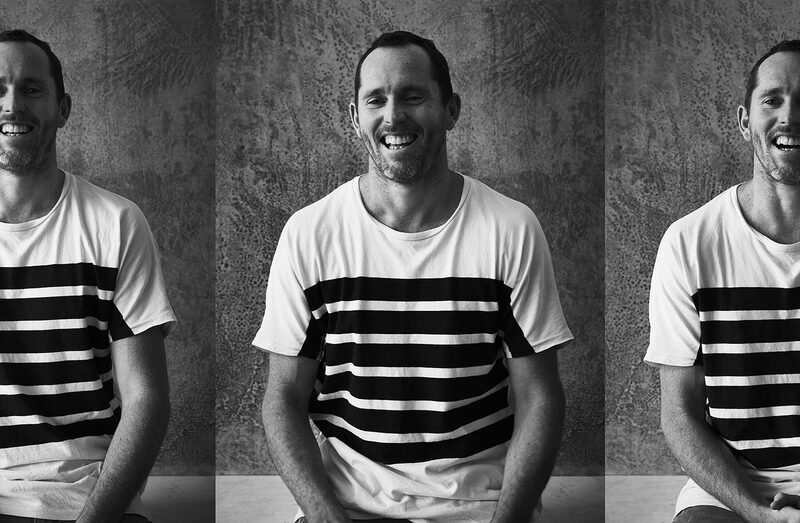 Every spare moment he had was spent at the beach, and it was there in 1997 that Rob first met one of his now oldest mates who taught him everything he needed to know about shooting surfing. That’s what surfing does, it introduces you to a broad cross section of society and this in turn provides opportunities. So there it was, Rob’s photographic career began while bobbing around in the wild waves of Hawaii’s world famous Banzai Pipeline. Those years taught him about commitment, creativity, problem solving and passion, which are the four elements Rob most loves and finds most important in photography. In 2014 Rob co-authored, with his wife Sophia, produced and photographed Colour of Maroc– a Moroccan food and travel cookbook which won the 2014 Australian Gourmand Awards for best Mediterranean Cookbook, placed in the top three of the 2017 German cookbook awards, and was also shortlisted for the 2014 British Design and Production Awards. These days Rob is shooting a range of work for lifestyle, food and advertising clients and the stoke hasn’t disappeared. He’s worked with brands like Sunbeam, Nestle, Uncle Toby’s, Arnott’s, Coles and Cadbury’s and his work has featured in magazines such as The Weekend Australian, Wish, Delicious, Taste.com, Cuisine and Harpers Bazaar. Rob has also photographed books for many of the top Australian chefs and health authors like Matt Moran, Pete Evans, Manu Feildel, Silvia Colloca, Michelle Bridges, Justine Schofield and Magdalena Roze. “I love the travel, I love the diverse range of people I meet and work with, and I love the challenges each new shoot brings with it”.